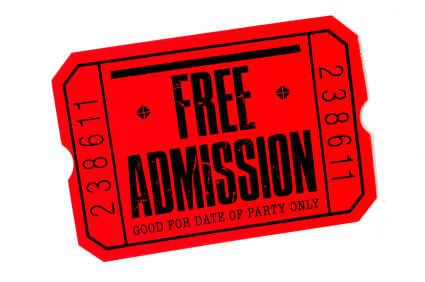 Now that you’ve got Part 1 finished, you might still be wondering if that “free ticket” to salvation is as good as you thought it was. If any doubts linger, it is highly suggested that you proceed onward with Part 2 of our investigation. Scriptures indicate that our inheritance cannot be obtained without a sinless sacrifice. The process required that father Yahweh give Yahu Yahweh all things, even his sacred name, and then Yahu, in turn, would pass on these things as an inheritance in a conditional will. Yet, even Abraham was a sinner, for all have sinned. He, like the rest of us, must come into the eternal inheritance by grace and by means of the messiah. • First, when Yahu Yahweh (Yahushua) entered into a marriage covenant with Israel at Mount Sinai, he narrowed the eligibility for the inheritance down to the nation and assembly of Israel, thereby building a wall between Israel and the nations (Eph. 2:11-17). This formed a major obstacle in granting the contents of the will, since Abraham was promised to be both the father of many nations and a blessing to the nations (Gen. 17:4-5, 18:18; Rom. 4:16-18). • Second, the Torah of Moses brought all the Israelites who desired to be justified by its fleshly works under a curse if they could not keep the agreement (Gal. 3:10, 13). Unfortunately, the Israelites could not live up to such high standards without trust (see Heb. 3:14-4:9). At this point a huge problem became manifest. The conditions of the Torah of Moses were such that, “For whosoever shall keep the whole Torah, yet shall stumble in one point, he has become guilty of all (James 2:10).” If you become guilty, then you lose your rights to the inheritance, for you have not met the conditions. This being the case, there could be no “elect” from Israel that could qualify as Yahweh had promised (Gal. 3:19). The question is, “How then can anyone obtain the eternal inheritance, Israelite or non-Israelite, ‘For all have sinned and come short of the glory of the deity’? (Rom. 3:23)” Therefore, to bring all of the nations, including Israel, back into the eternal inheritance, grace became necessary. Nevertheless, how can someone give grace if he does not have rights to the inheritance? The solution is revealed in the book of Isaiah. Isaiah observed that our iniquities and sins have come between mankind and Yahweh, causing Yahweh to hide his face from us. Yahweh advises us that the source of the problem stems from the fact that we speak falsehoods and murmur perverseness, and no one seeks truth but instead trusts emptiness. Mankind runs to evil and does not know the way to peace, and there is no justice in our tracks (Isa. 59:1-8). Therefore, since no human was capable of keeping the conditions of the “covenant will” and the written Torah of Moses (the Law, Old Covenant), Yahu Yahweh, the saving arm of father Yahweh, had to come and fulfill the conditions himself, becoming the intercessor for mankind. Yahu Yahweh had to become the earthly messiah saviour Yahushua, first qualifying as an heir and second by dying to pass on the eternal inheritance (to himself). That Yahushua qualified as heir is made self-evident by the fact that he never sinned (1 John 3:5; 1Pet. 1:19), i.e., never transgressed the laws of the Abrahamic Covenants of Promise (Torah of Trust) or the Torah of Moses (the Law, Old Covenant); he never failed to trust in father Yahweh (1 John 3:4; Rom. 14:23). Yet, if the eternal inheritance in the will was to be passed on and the works of the written Torah of Moses circumvented by us, Yahushua had to sacrifice himself! Keph (Peter) refers to the messiah as “a lamb without blemish and without spot” who gave his “precious blood” for our sake (1 Pet. 1:19-20). That is, the messiah was the lamb without blemish, a perfect sacrifice because he never sinned. The messiah was a sacrifice for “all” because all of those who are saved must come through him. He is the door by which we shall enter the eternal inheritance (John 10:7-9). As part of his body (the assembly), we are justified as joint-heirs (Rom. 8:17). Since our opportunity to receive the inheritance lies with Yahushua, and we become his body, we have died and have been resurrected with him. Further, our present corruptible (decay­ing), flesh and blood bodies are not capable of inheriting (1 Cor. 15:50). We must wait until after our resurrection when we shall possess our new incorruptible bodies, in which form we can inherit (1 Cor. 15:35-58). Therefore, in order to provide us grace so that we might bypass the Torah of Moses, Yahushua died for the sins of all mankind (2 Cor. 5:14-15; 1 Thes. 5:10). Being righteous (justified), he died for the impious and sinners who are transgressors of the Law (Rom. 5:6, 8). The grace of Yahweh could not appear until Yahu Yahweh became a fleshly man, a descendant of Abraham who could qualify to receive the inheritance. As a mortal man he could die to pass on the inheritance and then he could be resurrected to receive the same. Once he became eligible to receive the eternal inheritance, he also gained the authority to share that inheritance with whomever he wishes. This granting of joint-heirship is an act of grace. Therefore, grace was manifested with the appearance of the messiah, his death, and his resurrection. Notice that this grace of the deity is conditioned upon us denying wickedness and worldly desires, and living discreetly, righteously (as one who is justified), and piously in this world. Under this method—if we repent, trust, obey, etc.—Yahushua will forgive us our sins and forbear. As a result, when we have obedient trust, through Yahushua the messiah, on behalf of his name (Rom. 1:1-5), and if we continue abiding by the conditions set out, we shall receive the eternal inheritance by grace. Then the messiah had to suffer death in order to pass on the inheritance. The book of Hebrews states it was for the reason of the “putting away of sin by his sacrifice that he was manifested (Heb. 9:26),” i.e., he came to sacrifice himself for the cause of bringing grace into existence. In turn, sins cannot be forgiven, grace cannot be dispensed, and justi­fication cannot be made unless the messiah is alive. This fact demands Yahushua’s resurrection. Though grace was manifested with the fleshly life, death, and resurrection of the messiah, no one has as of yet received use of any of the eternal inheritance (Heb. 11:13, 39-40; Acts 7:2-5) —i.e., no one has attained to eternal life, the eternal ownership of land, the eternal circumcision, and so forth—by means of the Abrahamic Covenants of Promise (Yahushua’s resurrection coming under a previous covenant which encompasses another discussion). Therefore, the act of grace with regard to the eternal inheritance has not yet been granted. But this grace shall begin to be granted when the messiah returns to earth, an event referred to as the future revelation of the messiah. Therefore the messiah must wait until the specified time commanded by father Yahweh for the inheritance to be released, at which time Yahushua can share it with whomever he wishes, the saved being those doing Yahweh’s will and meeting his conditions. Yahushua then can distribute a joint-share in the eternal inheritance by grace. Clearly, the fulfillment of this statement has not yet taken place, for the people of Zion, who are waiting for Yahweh, are not yet living in Jerusalem. Neither has Yahweh, as of this date, answered the cry of his people. It cannot occur until the messiah returns and lays hold of his eternal inheritance, establishing his throne on Mount Zion at Jerusalem and obtaining all of the land from the Nile to the Euphrates (Gen. 15:17-20). These comments are a direct reference to the First Resurrection, which occurs at the second coming of the messiah (Rev. 20:4-6). By the grace of Yahushua the messiah, who can grant us a share in the inheritance with him, we are justified to receive the promises of the eternal inheritance. Unlike the written Torah of Moses made at Mount Sinai (the Law, Old Covenant), to which the “works of the Torah” became an integral part, grace is not granted by debt (Rom. 4:4). But neither is grace without conditions, for Yahweh will only give the gift of eternal life by grace (bestowing as a favor the eternal inheritance) to those who, like Abraham, continue in the conditions of the Abrahamic Covenants of Promise (Torah of Trust) and trust him, obey his voice, keep his charge, and keep his commandments, statutes, and laws. This entry was posted on 05/28/2012, 10:11 am and is filed under Grace, Heaven, Hell, Immortal Soul, Religion, Resurrection, Salvation, The Law, The Torah, Yahushua, Yahweh. You can follow any responses to this entry through RSS 2.0. You can leave a response, or trackback from your own site. So grace is conditional and equals eternal inheritance of land–specifically the Greater Land of Promise, but by extension the whole universe. Right? Which means eternal life because to possess eternally one lives eternally. In order to receive grace by proving worthiness, one must be uncondtionally resurrected from the dead. Mankind was promised a resurrection by the making of the Adamic covenant? Even though Adam broke the covenant, Yahweh eloahi will fulfill it. The Elect are worthy in this lifetime and receive their resurrection from Messiah under the Abrahamic Covenant. Correct? Messiah was/is our only hope. His Father knew it and he knew it. Their love is profound.